NEW DELHI - After nearly 26 years of relentless battle for justice to victims of the 1984 anti-Sikh riots, advocate H.S. Phoolka Tuesday withdrew from all cases following allegations that he had been making personal gains. Phoolka's decision follows allegation by the president of the Delhi Sikh Gurdwara Management Committee (DSGMC) Paramjit Singh Sarna that the advocate had 'wasted' the money in the course of the campaign. 'I felt humiliated and abused. It was an attack on my integrity and record of selfless service,' Phoolka, 54, told IANS. The decision to pull out of the riots cases comes only two days after he appeared in the Delhi High Court which upheld the murder charge against Congress leader Sajjan Kumar. Sarna had made the allegations against Phoolka at a meeting July 17 in which several prominent Sikhs were present. Phoolka said he would represent the families of the victims in court 'today only'. Sarna said that when Phoolka appeared before the Justice G.T. Nanavati Commission -- set up to investigate the riots -- on behalf of the victims during 2000-04, the DSGMC had spent Rs.1.09 crore on the administrative expenses incurred by his team. Phoolka said it was only after the Nanavati probe that Prime Minister Manmohan Singh had apologized for the carnage, the compensation for the families of dead victims was enhanced to Rs.10 lakh, Congress leader Jagdish Tytler resigned from the union cabinet and the cases that Sajjan Kumar is currently facing were reopened. 'I have never charged a penny as fee,' he said, while pointing to the legal assistance offered to families of the riot victims. 'Whatever the DSGMC has spent was unavoidable and not for my personal gains,' he said. Phoolka has written to the Akal Takht, the highest decision-making body of Sikhs in Amritsar, to make alternative arrangements for representing victims before courts. The advocate has himself been a victim of the mayhem when bloodthirsty mobs ruled Delhi's streets for three days following the assassination of then prime minister Indira Gandhi Oct 31, 1984. A budding lawyer then, Phoolka and his four-month pregnant wife Maninder were chased by mobs before an army convoy took them to a safe place. 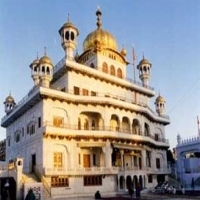 The Akal Takht, the highest seat of Sikhism, has asked Delhi Sikh Gurdwara Management Committee (DSGMC) president Paramjit Singh Sarna and his brother to explain their stand on the controversy over advocate H.S. Phoolka fighting 1984 anti-Sikh riots cases. Advocate Phoolka, who spearheaded a 26-year-long battle for justice to victims of the 1984 anti-Sikh riots, Wednesday offered to quit as lawyer of riot victims' families after Sarna levelled allegations against him for 'having received crores of rupees for personal benefit'. 'I am conscious that my decision will have an adverse impact on the cases, but my hands are tied. An alternative arrangement be made and a decision be rendered at the earliest so that the community's interest does not suffer,' he said. Phoolka's decision followed allegations made by Sarna and his brother Harvinder in the July 17 meeting of the committee that he had taken Rs.1.09 crore from the DSGMC. But Phoolka, who himself suffered at the hands of rioters who ruled Delhi's streets for three days following the assassination of then prime minister Indira Gandhi Oct 31, 1984, denied the allegation. 'I am deeply hurt. I felt humiliated and abused. It was an attack on my integrity and record of selfless service,' Phoolka told IANS. 'I have not charged any fee for the cases or taken any kind of donation. In 1985, I was paid an amount of Rs.15,000 by DSGMC and since 1986 till today, I have neither received any money from the committee nor from any other organisation for these cases,' he said. Phoolka's decision comes at a crucial juncture of the riots cases. Only two days ago he appeared in the Delhi High Court which upheld the murder charge against Congress leader Sajjan Kumar for allegedly leading a group of rioters. 'Now, when these cases have reached their peak and Sajjan Kumar is badly caught and strong proofs are emerging against another Congress leader and union minister, at this delicate moment, they have intensified their campaign to malign me,' he alleged. Sarna alleged that when Phoolka appeared before the Justice G.T. Nanavati Commission-set up to investigate the riots-on behalf of the victims during 2000-04, the DSGMC had spent Rs.1.09 crore on the administrative expenses incurred by his team. 'Whatever the DSGMC has spent was unavoidable and not for my personal gains,' Phoolka defended himself. He said it was only after the Nanavati Commission probe that Prime Minister Manmohan Singh had apologised for the carnage; the compensation for the families of dead victims was enhanced to Rs.10 lakh; cases against Congress leaders Sajjan Kumar and Jagdish Tytler were reopened and Tytler was forced to resign from a ministerial post. 'I have spent all my life for the cause and endangered my life in the process. I have never expected any reward. But today I am being repaid by having to defend and protect my integrity against false allegations levelled by Sikh leaders,' he wrote in the nearly 2,500-word letter. The Shiromani Gurdwara Prabandhak Committee (SGPC), the mini-parliament of Sikhs, also threw its lot behind Phoolka. 'The Sarna brothers are making baseless allegations at the behest of Congress leaders. The Sikh community is with H.S. Phoolka,' SGPC president Avtar Singh Makkar said. Sarna brothers should extend full coopertion to Advocate Phoolka, if not then should be ashamed in front of Sikh community also should appear in front of AKAL TAKHAT as ahumble Sikhs. No doubt Sarna brothers are the agents of Congress & RSS and it is very unfortunate that Sikhs still have traitors like them in there community. Phoolka is Panth Rattan. Selfless Seva. In Delhi Sarna brothers always worked as congress agents they won election with the help of Congress high-command. Still they try to prove they are true Sikhs as compared to Badal party. They gathered anti-Badal people under the name of World Sikh Convention. There are so many sites on net showing honoring anti-Sikh peoples like Lala Jagat Narayan's son and KPS Gill. I was very surprised to see him honored by pro Khalistani guys in Canada. A few of them admitted in private that they are promoting Sarna in order to defeat Badals in Punjab. No doubt Sarna is more anti-Sikh than Badal as he working as double agent as Congress/RSS.